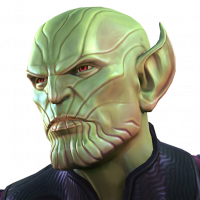 Weren't skrulls supposed to be in the game somewhere? Yeah they were! Devs must have scrapped them. 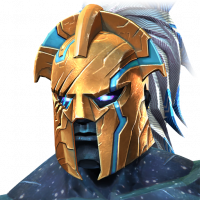 They were in the game, didnt you see them as your favorite champ? According to last month's EQ storyline, Skrulls are literally everywhere...in the form of the champs in our lineup. It was the only way for the Collector to get the numbers needed to satisfy the Maestro's wishes in establishing the battlerealm. They have just gone back into hiding again. 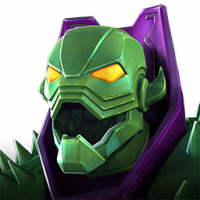 I don't believe Skrulls were intended on being stand-alone playable champs in the game. Skrulls are with us always. I will neither confirm nor deny that I may infact be a Skrull. Most of my team has admitted to me they are Skrulls so I would not be surprised. are they good working Skrulls though?! Yes, yes they are. I support them and their Skrull ways. We are in the game, we are in your roster. But you never knew till you were told. 😈We are everywhere and always watching.